Have you ever decorated a space, stood back and thought: Wow, I made this. I rock. 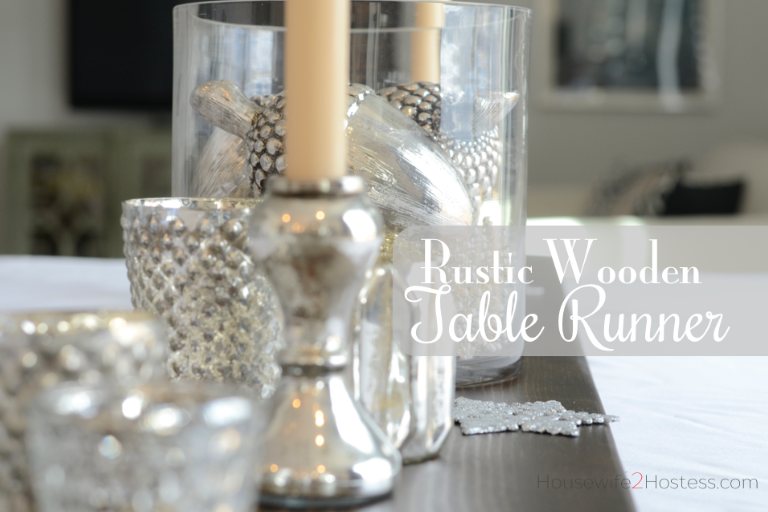 I am loving the rustic glam look this season. I actually love it so much I feel like it could easily continue as part of my regular home decor though spring, or maybe even LONGER! I actually commissioned my husband to make the runner, isn’t he awesome?! 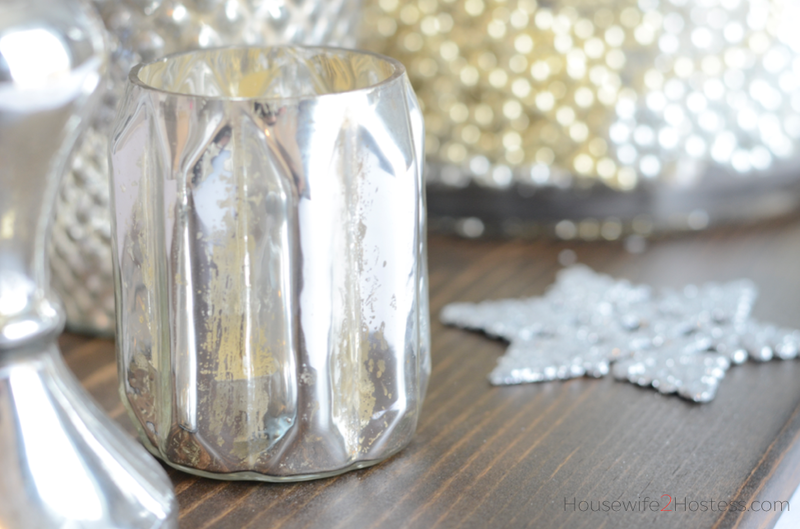 As far as the decor goes, I had all of the mercury glass votives on hand from last Christmas, they were from Target (I wonder if they have them again this year?) The silver acorns and glittered snowflakes to add a good mix of hight and shapes. This runner would also look amazing with a glittery or metallic sequin table cloth (or long enough piece of fabric) underneath it to make it even more glamorous. I’m still just oohing and ahhing at this beauty. Mmm, mmm good. This runner is really versatile, if you make one I want to see it!!!! 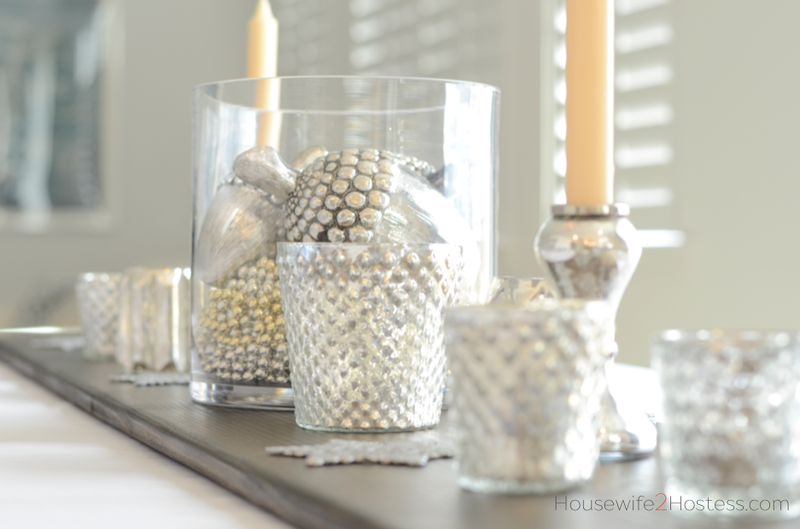 If you want to make this beautiful table runner, here is the tutorial I used.